Limited edition (500) prints of a Battle of Britain Memorial Flight Spitfire flying over the College, size 63 cm x 50cm. The original painting was done by David Chedgey (Head of Art at the College) in 1986. 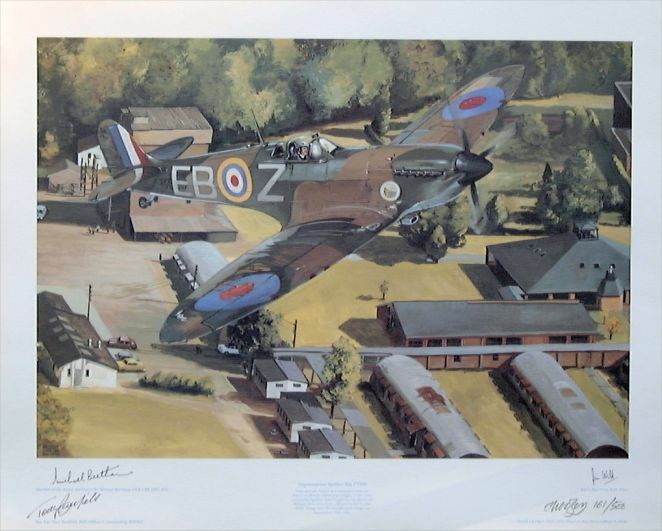 The prints are signed by David, Sir Michael Beetham (Marshal of the Royal Air Force), Sqn Ldr Tony Banfield (RAF Officer Commanding, BBMF) and Flt Lt Jim Wild (RAF Pilot - who flew the plane over the College on 15 September 1986). Price is £10 plus post & packing - £3 UK and £5 overseas. One of these prints was sold at auction by Keys of Aylsham for £40 on 19 August 2005! STILL AVAILABLE AND REDUCED IN PRICE! 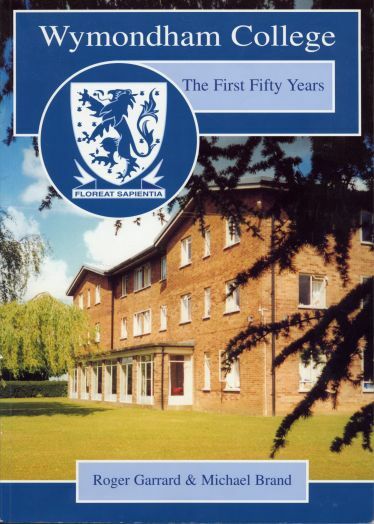 'Wymondham College - The First Fifty Years' was written by long-serving teachers Roger Garrard and Michael Brand, and provides a detailed and well-illustrated chronological history of the College. The book was published in July 2001. Price is £5 (was £10) plus postage (UK £2, overseas £5). To help celebrate the 60th Anniversary Shelli Wright has put together a book with lots of articles and photos beginning with pre-College days during the War and coming right up to date in 2011. It is a fascinating book with a double page for each Year and the layout enables you to dip in and out of it. The book costs £10 and is available from Jackie. Click on the image to see sample 1950s pages. The Alumni office has several copies of College Magazines that are surplus to requirements, covering years from 1975 to the present, except 1977 and 1984. If you would like to complete your collection, copies are available at a price of £3.00 including postage. If anyone has any spare or unwanted copies from the 1950s up to 1974, please get in touch with the Office. Please order the above items by letter, enclosing a cheque for the appropriate amount made out to 'Old Wymondhamians'. 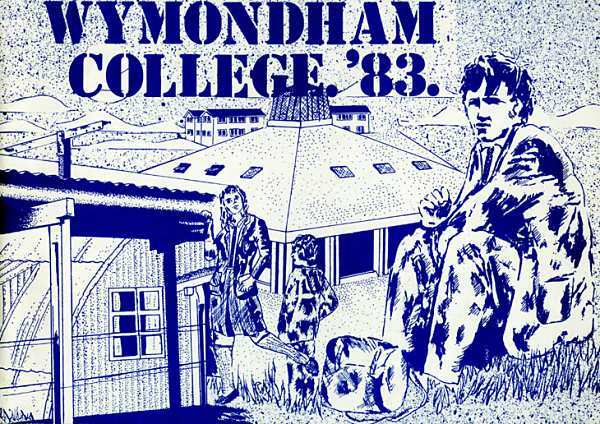 In the 7 years [since Oct 2003] that we have been running the 100 Club it has been the main source of income for the Old Wymondhamians [formerly the Wymondham College Association]. It has taken some time to reach the magic 100 members but we are just about there now. We will, therefore, soon have to decide how we deal with the 101st member! The 100 Club is currently generating in the region of £3,000 annually. A considerable portion of this is required to fund the production of the yearly Newsletter and support the Wymondham College Remembered website [so expertly set up and run by Bill Atkins for a number of years and which is now administered by Julie Harding [nee Ebbens]. However, where we have had a surplus, donations to the college have been made. The first donation was a contribution to the cost of producing the College Hymn book and a second commitment has recently been made relating to the cost of the proposed Heritage Trail. Over the years we have been very fortunate that the College has supported us by the provision of the Alumni Secretary. Caroline Hall continues to provide an invaluable link between the College and the Old Wymondhamians. Steve Read [the Treasurer] and I meet on a monthly basis at hostelries within Norfolk to sup some of the excellent real ales on offer. A number of you have joined us over the years and there is statistical evidence that attendance at the draw, leads to a win shortly afterwards! If you have a local that you would like us to visit, please let us know. However the only way of effectively advising people of where/when we meet is by e-mail. If you wish to be kept advised of the monthly meetings and who has won, and you also have access to the Internet/e-mail, please contact me so that I can add you to the list. Subscription is still only £5.00 per month and there are two monthly prizes of £50. There is also the possibility of winning one of the two star prizes of £500 and £200 (in June and December – just in time to help with the expensive Christmas presents!). For those of you who may wish to join, the monthly payment can be made by Standing Order but we are happy to accept yearly payments of £60.00 from anyone who would prefer to subscribe in that way. The internet shops below are thoroughly secure and offer good discount on High Street prices. Check 'em out. If you buy something, the associated Company will pay back commission of between 2% and 5% to the Old Wymondhamians, so it's a win-win situation! There is no difference in buyer's price between these links and other links on the net! IMPORTANT: To gain commission, these links should be used on every occasion that you make a purchase, so please bookmark this page (add to Favourites) for future reference. A new language learning concept! As part of our Language College programme, we are committed to supporting our extended community with their language learning. To this end, we are pleased to announce that we are able to supply our alumni with an innovative language learning product at a 20% discount off the normal £14.99 retail price. Whether you want to learn a language for business or pleasure this product may be for you! Earworms, a company with origins in Norwich, has developed a suite of products to help learners effortlessly learn a new language by associating key language phrases with specially composed melodies. If you are interested in purchasing, please visit the above website and enter the code “Wymondham” when prompted at check-out to receive your 20% discount. Please note, that for every copy purchased, the College will receive a small commission to further improve language learning provision for our current students. Many thanks in advance for your purchase and good luck with your language learning!